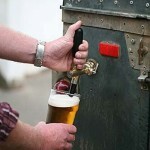 If you’re around The Zululand Brewery in the afternoon, you might be lucky enough to jump aboard The Wandering Keg – a 1970’s Land Rover with a beer tap sticking out between the tail lights. When the weather’s good we head off up Signal Hill with a loaded keg for sundowners over one of the most spectacular views in rural Zululand. In 2007 we filmed an episode of the TV show, “The Wandering Keg”. It is a journey of beer through Southern Africa, visiting microbreweries all along the way and learning a bit about beer, cooking, travel, and having fun. 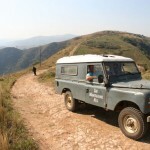 Brewmaster, Richard Chennells treks around Southern Africa with his trusty Land Rover, replete with a beer tap between the tail lights and a keg of ale in the back, in search of the best micro-breweries in the land. The brutally opinionated beer lover explores a side of his country that most locals haven’t ever seen. The Wandering Keg TV Series takes you all over Southern Africa exposing viewers to breweries and beer in South Africa, Namibia, Mozambique and Uganda. 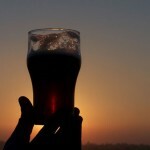 The series focuses on beer, travel, cooking with beer and the people involved in producing Africas favourite beverage.